What can we serve you today? 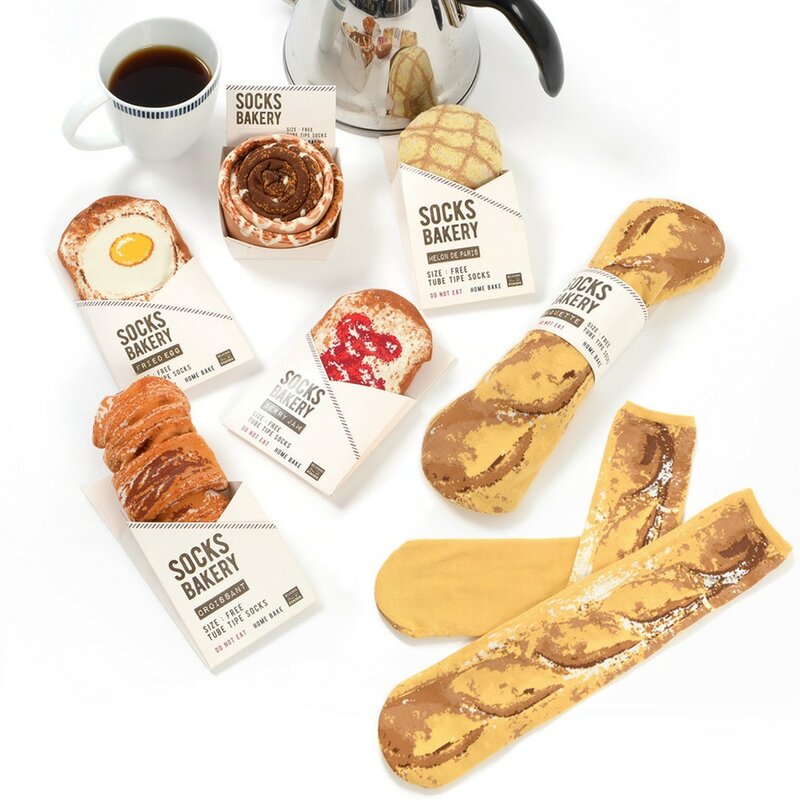 Our croissant, cinnamon roll, jam toast, egg toast, melonpan, and baguette socks are made fresh and sure to satisfy even the pickiest eaters! They can also be refolded to resemble their respective dish, and each pair is long and free-sized. Also, we know they look delicious, but don’t actually eat them!